Billy Joel -- favorite to Northeastern piano-rock fans and dads everywhere -- has just announced a massive Los Angeles show on May 13th at Dodger Stadium, his first time ever playing the historic venue. The Rock & Roll Hall-of-Famer has confirmed that it will be his only Southern California stop of 2017, so demand for tickets should be huge when they go on sale on Jan 13th at 10am on Ticketmaster. It's his first time playing Los Angeles since 2014, when Joel played a run of shows at the Hollywood Bowl. 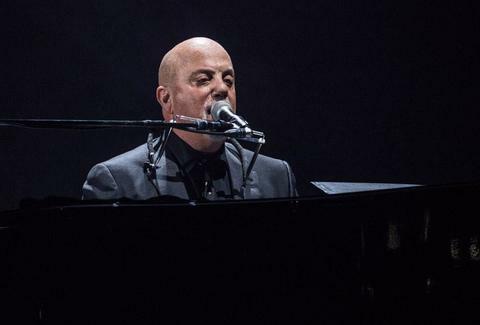 And, most importantly: Yes, he still plays "Piano Man" and "Scenes from an Italian Restaurant" at nearly every show. Jeff Miller used to be a karaoke host, and "Piano Man" was his kryptonite. Find out if he ends up going to see it played by Joel at his Instagram.